Dorothy Lavonne Smith Saegert, went to her eternal home on Friday, January 25, 2019 surrounded by family. 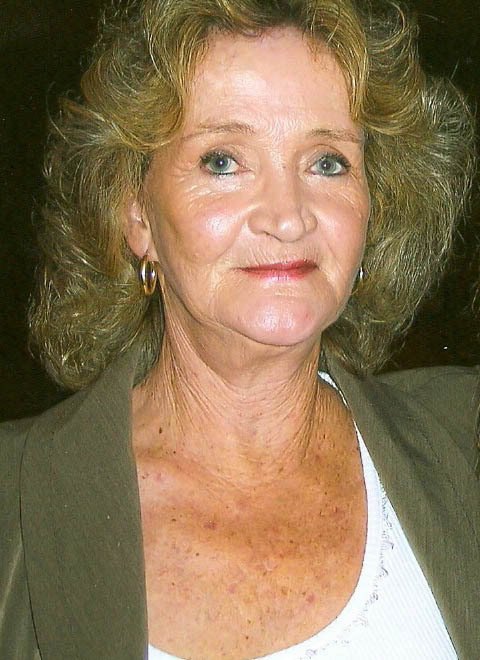 Dorothy was born March 19, 1942 in Coffee County, Ga to Mackie and Daisy Mae Smith. Born one of nine children she grew up in a large family and knew the importance of the people in her life. She met and later married the father of her children, Danny Lett and together these two would add four children, Kenneth, David, Timothy, and Tammy to their family. She retired from Singing River Hospital after 25 years of dedicated service. Dot later used her gifts to serve the women of Promiss, an organization empowering people to make healthy decisions about childbearing and parenting, Dot used this ministry to share her testimony to young woman, helping many to choose life during pregnancy. This passion for life once again proved her love for family. She enjoyed cooking and dancing but her greatest love was spending time with her family. She is easily described as loving, gracious, kind -hearted, forgiving, supportive and understanding. Throughout her journey with cancer she continued to give those same qualities to her family. While continuing to show selfless love and give generously to those in need. She was a faithful member of Wade Baptist Church and was very grateful to have their love and support. Although her family could be listed by name, many more will remember her as their Nanny. In addition to her parents she was preceded in death by her husband, Greg Saegert; siblings, Fred C. Smith , J.H. Smith, Vera Smith, Vadar Foskey, Eva Lee Heard, and Ruby Mae Thompson. She is survived by her children; Kenneth Lett (Francine) of Gautier, MS, David Lett (Cyril) of Lucedale, MS, Timothy Lett (Bridget) of Vancleave, MS and Tammy Sampson (Allen) of Lucedale, MS; daughter by choice, Missy Lett Shane) ; brothers, Maxell Smith (Vivian ) and Wilbert Smith (Melba) both of Douglas , GA; grandchildren, Kenny Lett (Christina), Christopher Lett (Whitney), Heather Calvert, Landon Gaubert, Brandon Lett, Bryan Lett (Miranda), Jason Lett, Timothy Lett (Holly), Miranda Todd, Tarrin Dahl, Vincent Lett, Joshua Dedeaux, Caleb Dedeaux, Haley Cook-Kelley (Darryn) Cody Sampson (Allyson), Megan McCollough, Wyatt Sampson,Brenda Hanberry and Joby Carroll ; 18 great grandchildren and a host of other relatives and friends. Visitation will be Tuesday January 29, 2019 at O’Bryant-O’Keefe Funeral Home in Pascagoula from 6-8 pm . Funeral Service will be at Wade Baptist Church on Wednesday, January 30, 2019 at 10am . Interment will conclude at Serene Memorial Gardens. Condolences may be expressed online at www.obryantokeefe.com.